Brand new in Sun Peaks for winter 2013/2014, we’re offering 3 Day Off-Piste Camps and Fun Family Race Camps, giving everyone the opportunity to build their skills and move on to the next level. 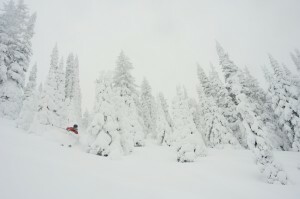 Sun Peaks in British Columbia has a massive 3678 acres of ski terrain appealing all levels of skier and snowboarder, with every chairlift giving access to green, blue and black diamond runs. For the approaching 2013/2014 ski season Sun Peaks has added some fantastic new products to their snow school programme and there’s a course to suit anyone looking to improve their skills, technique and confidence on the mountain. 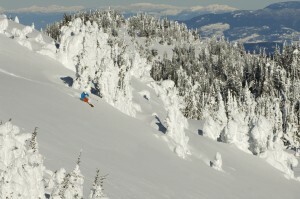 Off-piste skiing camps for the intermediate to advanced skier who is looking to gain more confidence and learn the specific techniques required for skiing steeper slopes, moguls, trees and especially powder snow, in a small group environment. The camps run for three consecutive days starting every Monday between 23rd December – 19th February. The camps run from Wednesdays to Thursdays from the 8th January – 20th March. 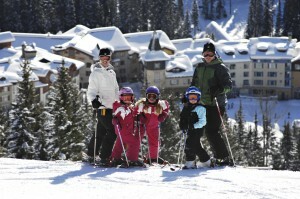 With up to 35% off accommodation and lift tickets, 30% off rentals and FREE skiing for kids aged 12 years and under, we can put together a fantastic package for you to Sun Peaks. Get in touch with one of the team to find out more by calling 0131 243 8097 or request a tailor-made quotation using our online request form. Please note terms and conditions apply to all our offers and products, just ask for more details!